George Mason University students and activists clamored at a townhall meeting for the university to fire Supreme Court Justice Brett Kavanaugh as a visiting law professor over unproven sexual assault allegations. A pro-abortion student group at the University of Oregon held an anti-Kavanaugh rally to reiterate that Americans should not ever let the confirmation happen again (in other words, the confirmation of an originalist judge to the Supreme Court). Louisiana State University law professor Ken Levy suggested that Democratic politicians should sue Republican Senate Majority Leader Mitch McConnell over the Senate judicial confirmations process to hold them accountable for stalling Obama’s nominee in 2016. 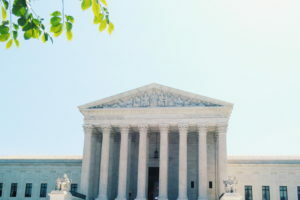 With the U. S. Supreme Court ready to pass judgement on how demanding teacher’s unions can be, the National Education Association (NEA) is already girding for the worst news they could get. Teacher’s unions are hell bent on keeping the agency fees they collect from government workers whether they want to join the unions or not.